Whether you are just starting out or have been training for years at the highest level, there is a barbell that will suit you and add to your training. The number of exercises you can perform with a barbell is remarkable, and while there are many pieces of highly functional gym equipment, what makes the barbell stand out from the pack is the quality of the workout you'll get. Given their cost in relation to the functionality that they offer, a barbell will be one of the best investments that you can make for your gym. They are also very easy to store when not in use, making them a must for even the most compact gym. What Makes a Barbell So Good? The barbell would probably be the most recognisable piece of strength equipment by the general public, especially given their use in Olympic weight lifting. Add to this, they're found in all commercial gyms as they're used for a wide variety of exercises. This is the reason why I believe they are so important and why I could train with just a barbell, forever! A barbell is ideal for compound movements like bench press, squats, deadlifts and rows. Compound exercises are movements that require the activation of multiple muscle groups which will stimulate strength and muscle gains. Give me a barbell and some weight plates and I could train forever. You will often hear me say this when a customer tells a horror story about their experiences at the crowded local gym. After years of training by myself I could not return to such an environment and I would be perfectly happy with just a barbell as my only piece of gym equipment. This tells you how important a bar is to your gym. There are many different types of barbell and they are constantly evolving. The most common type of barbell is the straight bar – the ones that they use in the Olympics. The barbells that they use in the Olympics are 7ft long and have extra-long sleeves that are used to load on weight plates. 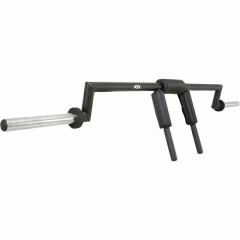 These 7ft barbells are also used on power cages, squat racks and bench presses. 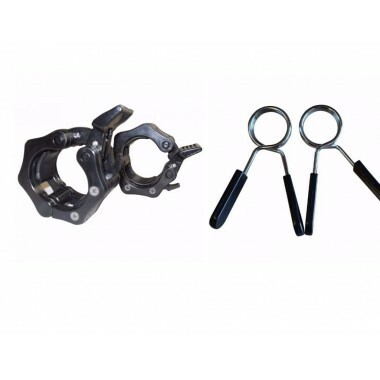 Straight bars range in size from 7ft down to 4ft. 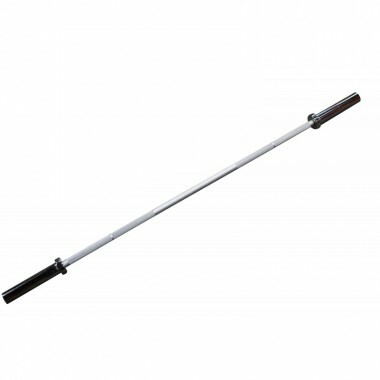 The smaller barbells are used for exercises or gym settings where the 7ft barbell is too long. Imagine the havoc that could be caused by someone blissfully curling away with a bar that is over 2 metres long with their headphones on in a crowded gym. The 7ft barbells are approximately 20kgs, so this is pretty heavy for an inexperienced trainer for certain exercises. Getting a shorter/lighter bar will make performing these exercises much easier. Over the history of weight training, the barbell has evolved into some very interesting styles and shapes. Sometimes the barbell has had some slight modification to adapt to certain exercises. The most common that springs to mind is the EZ Curl, which is an essentially a short, straight bar with some bends. The bends are designed to make biceps curls easier – hence the name. Whilst there have been some modifications, there have been some dramatic barbell designs. 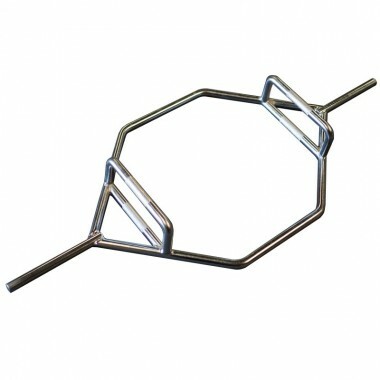 The hex trap barbell was designed to transfer the load from deadlifts from the front of the body to the centre. To achieve this the bar sleeves are at the end of a hex shaped structure. This enables you to lift heavier weights, so the bar is braced accordingly, making this bar look far removed from the original straight bar design. This barbell evolution means there are now speciality bars for most major muscle groups. The other way you can classify barbells is by the sleeve diameter. Olympic bars are designed for Olympic weight plates. These have 50mm diameter internal holes. 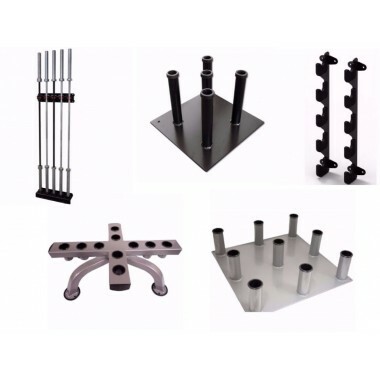 The other type are standard barbells which are designed for standard plates, which have 30mm holes. Unless you already have loads of standard weight plates, I would strongly advise getting an Olympic barbell. Although they are a little more expensive, they do weigh more – so you will require less weight plates. This will partially offset the initial cost. Most importantly, there is far more variety in the range of Olympic barbells, weight plates and gym equipment. Plus, the quality is generally better. Standard plates were very common in Australia years ago, but the industry has well and truly moved to Olympic. Your choice of barbell is made easy. 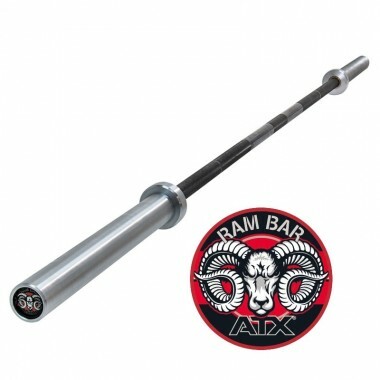 If you are looking for a basic, quality and durable barbell then look no further than the Power Maxx range of barbells. Although the price we sell them for is very competitive, these are not cheap barbells in terms of quality. There are many gyms in Australia that have these bars as their durability for the price is second to none. Their spring steel shafts stand up to heavy training. The solid steel sleeves (as opposed to cast ones on cheaper bars) rotate on either copper bushings or bearings. The sleeves need to rotate on dynamic lifts to reduce the strain on the wrists and provide stability. Either sleeve rotation method utilised by the Power Maxx range has been proven to stand up to heavy training for years. My trusty Power Maxx copper bushed Olympic bar has proven to be a workhorse for me for years – so I can give them no better recommendation than this. 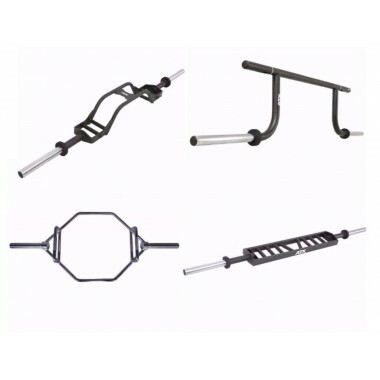 For those of you who compete in strength sports or just take your training very seriously and don’t mind spoiling yourself, we have the ATX range of bars from Germany. They have taken the European market by storm. Whether you are into power lifting, Olympic weightlifting, crossfit or just a gym rat you can choose one of their speciality 7ft barbells. These barbells offer a variety of finishes – generally barbells are finished in chrome as this is very durable. But some people prefer a black oxide finish. The oxide finish doesn’t have the same gloss as chrome so it offers a better grip. The downside is that the oxide finish will oxidise if you don’t maintain it. If you use chalk, just make sure you brush it after use with a nylon brush. ATX also offer an ever-expanding range of speciality bars. Performance athletes use safety squat bars and cambered squat bars to train the legs while reducing the strain on the other body parts that is often associated with straight bars. Cambered bench press bars and Swiss Bars are great for bench pressing with shoulder injuries or to recruit different muscle groups.